The Emerson Knives CQC7A-SFS Tactical Folding Knife Tactical Folding Knife available at KnifeArt has a stone washed finish on the 154CM stainless blade. The grinds are flat and sharper than most razors. 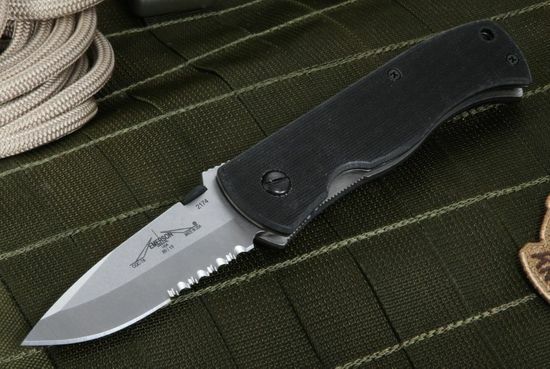 The CQC7A-SFS blade is 3.3 inches long and is made with titanium liners and a textured black G-10 handle that includes a lanyard hole and a filed thumb rest. 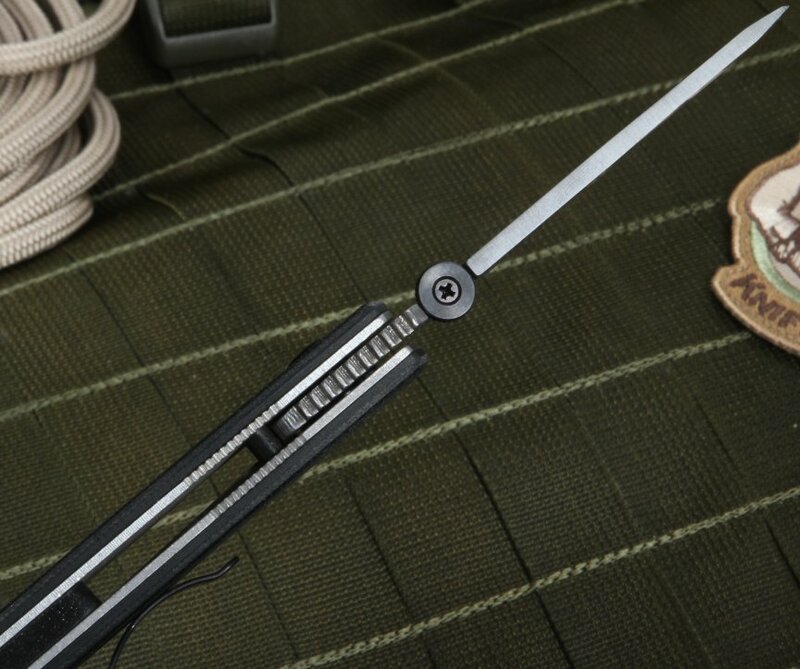 The pocket clip has been mounted for the option to carry the blade with the tip facing up. Right- and left-handed opening are equally facile with the thumb disc that's mounted on the spine of the blade. KnifeArt.com is an Authorized Emerson seller and a master of superb customer service and fast delivery. Order today and get this knife with free shipping. This is very cool knife ! Way better than a lot of people think about , more than that this knives are still available with an older design . It comes with a G 10 backspacer , and it's hard to find in our days ! Don't miss the opportunity to get one !